I was alarmed by a clatter past me of horse’s hooves and the crack of pistol shots. A man galloping his horse recklessly down the street was firing a six-shooter in the air and whooping wildly. Suddenly he reared his horse back on its haunches, turned it sharply, and forced it through the swinging door of a saloon. I sidled into the first open doorway that I dared enter. “That’s Slade,” said the storekeeper, “on one of his sprees, shootin’ up the town, scarin’ women and children. That smart aleck orter be strung up.” He led me out the back door and warned me to run home quickly and stay out of range of stray bullets. “He’ll get his needin’s yit,” he threatened. As with all men of ardent temperament, his habits of drinking, by long indulgence, had passed by his control. He was subject to fits of occasional intoxication, and these, unfortunately, became so frequent that seldom a week passed unmarked by the occurrence of one or more scenes of riot, in which he was the chief actor. Liquor enkindled all the evil aspects of his volcanic nature. He was as reckless and ungovernable as a maniac under its influence, but even those who had suffered outrage at his hands during these explosive periods, were disarmed of hostility by his gentle amiable deportment, and readiness always to make reparation on the return of sobriety. His fits of rowdyism, moreover, always left him a determined business man, with an aim and purpose in life. As a remarkable manifestation of this latter quality, soon after he went to Montana, a steamboat freighted with good from St. Louis, unable from low water to ascend the Missouri to Fort Benton, had discharged her cargo at Milk River, in a country filled with hostile Indians; and Slade was the only man to be found in the mines willing to encounter the risk of carrying the goods by teams to their place of destination in the Territory. The distance was seven hundred miles, full half of which was unmarked by a road. The several bands of Blackfeet occupied the country on the north, and Sioux on the south. Slade collected a company of teamsters, led them to the spot, and returned safely with the goods, meeting with adventures enough on the way to fill a volume. Yet Slade’s luck ultimately ran out. Not all of the good citizens of Virginia City approved of Slade’s hanging. The vigilance committee however continued thereafter with its gruesome task. The vigilantes filled a law enforcement vacuum created by the newness and rapidly expanding populations of the mining settlements of Bannack, Nevada City, and Virginia City. This area’s long travel distance from Lewiston, the Idaho Territory’s first capital, across the rugged Sawtooth mountain range, also contributed to its lawlessness and to the helplessness felt by the local respectable citizenry. If matters were not bad enough already, Bannack’s sheriff, the notorious Henry Plummer, was one of the first outlaws and ringleaders hanged by the vigilantes when their committee commenced its righteous campaign. To this day, the men who banded together and killed the sheriff are revered as great heroes in Montana. The shoulder patch worn by members of the Montana Highway Patrol bears the numerals 3-7-77, the mysterious warning the vigilantes posted on doors or tent flaps when they wanted to drive someone into exile. A high school in Helena, the state capital, calls its football field Vigilante Stadium and its yearbook The Vigilante. Bozeman has a Vigilante theater company. Several of the vigilante leaders went on to successful careers as legislators, lawmen, governors, and judges. One was a founder of Creighton University, another served as U.S. 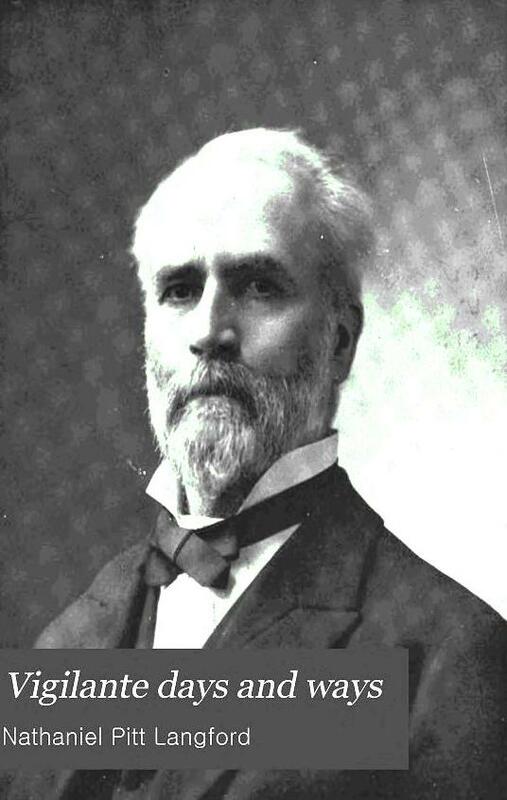 Senator when Montana achieved statehood. Their exploits have been written about by authors of every stripe, from hacks to Mark Twain, and even caught the attention of Charles Dickens. What shall we make of the execution of Jack Slade, the very rowdy drunk? One perspective, offered in Allen’s book,(7) suggests the hanging could have been avoided if Virginia City had been equipped with a proper jail. New and rapidly growing mining towns in the West often lacked such facilities. Banishment wasn’t always a reliable option either; bad men sometimes returned to their old haunts after a several-month hiatus. Another clue to justification for Slade’s hanging doubtless resides in young Molly Sheehan’s account, with its warning from the storekeeper to hasten home and avoid stray bullets. Once a business elite, women, and children became part of burgeoning mining towns, the perceived threat posed by drunken escapades and the heedless use of firearms increased sharply. As Langford’s correspondent put it, “…he became so reckless and regardless of human life that even his best friends must concede…” that he brought his demise upon himself. I suspect that still another factor was at work too. Early mining communities sorted themselves into two discernable population subgroups: namely, the collegium of the respectable and the collegium of the not-respectable. The vigilante movement acted on behalf of the former against the latter, not always bothering overly much about the specifics of whatever offense against public order prompted their deadly response. Jack Slade started out on the right side of this divide but ultimately drifted irretrievably to the other side. (1) On Slade’s name: Nathanial Pitt Langford (see note 3) referred to Slade as “Joseph A. Slade”; Frederick Allen (see note 2) noted in passing that Slade’s given name might have been “James,” “John,” or “most likely” “Joseph.” Noted western journalist, Adam Aulbach, however, called him “Jack,” the name I’ve employed in this piece (Aulbach, “I Saw Them Hang Jack Slade!” The Journal: Official Publication of the Western Outlaw-Lawman History Association, 2(2):5-9, 13, (Fall) 1992. 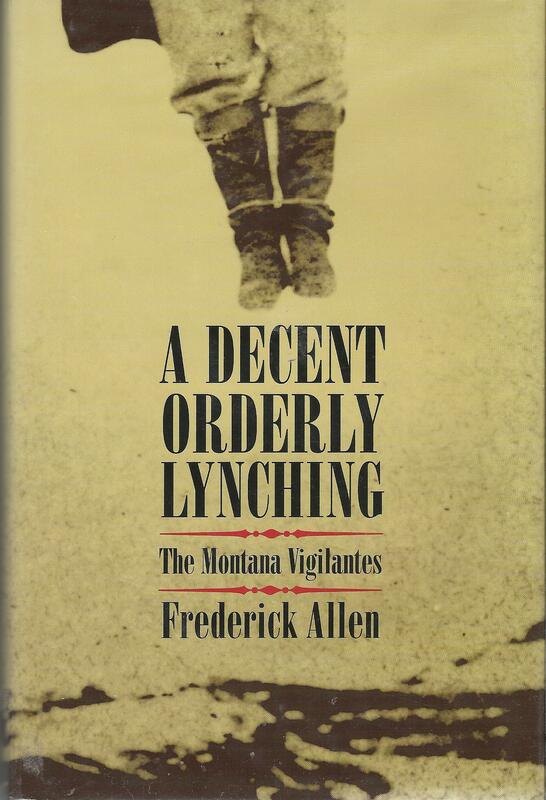 (2) Frederick Allen, A Decent Orderly Lynching: The Montana Vigilantes, Norman: University of Oklahoma Press, 3004, pp. 365-366. (3) Nathanial Pitt Langford, Vigilante Days and Ways: The Pioneers of the Rockies: The Makers and Making of Montana and Idaho, Chicago: A.C. McClurg & Co., 1912, p. 462. Nicely writtten. Undoubtably the tradition of drink in mining communities carries on even today. Fortunately, we don’t have riders shooting up the town but I am sure the reports of wife and child abuse which abound in these communities are a reflection of alcohol. Good stuff Dad. It’s hard to say how one would react in a similar situation, you live in the middle of nowhere and some guy is, on a regular basis, riding around all sauced-up shooting the lights out. I think you’d get a little sick of it. But there’s an undertone of an overly efficient, while highly subjective, judicial system at work – it also sounds like this judicial system only really had one tool in their toolbox, kill the guy. Hadn’t anyone heard of a stockade??? Seems like someone could have created the “village square guide to punishment in remote communities.” But I guess the bigger question for this blog community is “does a couple days of being pelted with rotten veggies in a stockade cure alcohol addiction?” and if the general consensus is “no,” then why waste the tomatoes? Just get a rope. It’s also interesting to note that the folks in the picture made no attempt to disguise themselves, and boy were there a lot of them! (including a boy!). Clearly they felt they were on the right side of their decisions, and their judgments, when eventually reviewed, would stand up to scrutiny. Could these folks have been a little drunk on something else, a little intoxicant called self-righteousness? Thanks for your comment, Ezra! You’re exactly right about the photograph. In fact, the main point of Allen’s wonderful book is that the Montana vigilante movement carried out its actifivities entirely in the open. They wore no hoods, conducted executions in broad daylight, and, as you noted, faced, rather than turned away from, the camera. Allen goes to some lengths to distinguish Montana’s vigilante band of lynching from the very different kind carried out in the U.S. South in decades past. Hence, BTW, the title he composed for his book, too: A Decent Orderly Lynching. The people around Slade’s body are clearly *posing* for a photograph, suggesting not shame, but pride. While lynching was often less about ‘punishment’ and more about social control and terrorism, it was also a *social* event. As Karen Jones points out, shooting Slade would imply that he was a threat that needed to be subdued. Hanging him required advance planning. 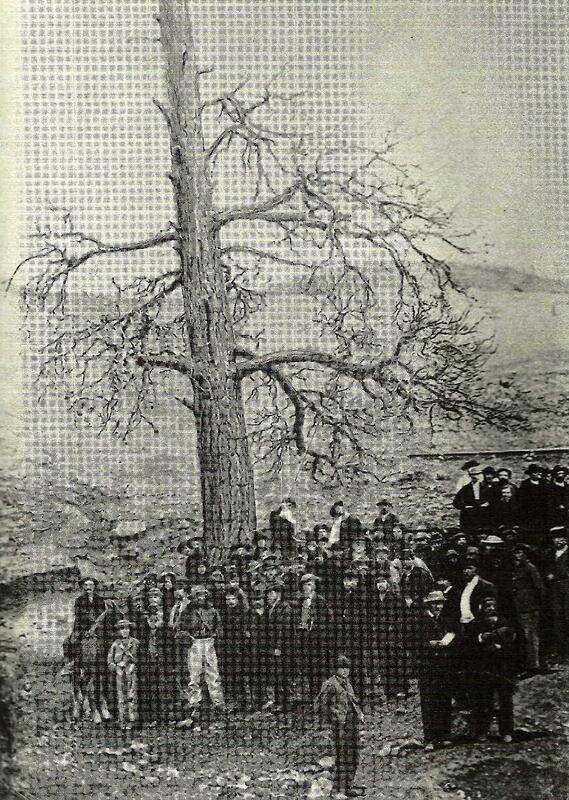 The fact that this photograph even exists illustrates the multiple meanings of this lynching. This piece (amazing to read) reminded me of Ingrid’s post about the Drug War. While we are, thankfully, no longer lynching people, we do continue to accept the notion that users need to be “punished” for the betterment of society. We still draw (artificial?) distinctions between “use” and “abuse,” operating on the assumption that we know where that distinction lies better than the person actually using the drugs. Most significantly, I think, we still allow the “war on drugs” to justify excessive and sometimes extra-legal abuses of power. A few weeks before our conference, I was arrested because I refused to stop observing a police officer interacting with a drug user. Fortunately, I was released after 3 hours in cuffs and a brief visit with a judge. But I’m left with the clear reminder that substance use continues to inspire and justify an often ridiculously overblown reaction among some of those invested with the power of authority. I woulld suggest checking out a book, “The Death of a Gunfighter. the search for Capt. Jack Slade” by Dan Rothinburg. It gives a real look at Jack Slade, the Vigilante’s and life in the gold fields, and Western Frontier during the Civil War. Unlike Professor Dimsdales book, “The Vigilantes”, originaly printed in his newspaper, Virgina City MT Terr.,1865-66. Dan’s book is new, and he wasn’t payed off to write only one side like Dimsdale was, and he actually did the research. Also I would suggest “Vigilante Days and Ways” by N.P. Langford.still in print the original came out around 1890. Langford was a Vigilante, and was actually in Alder Gulch durring the 1860’s. These folks definitely appear to be drunk on self-righteousness and the fact that there was a big crowd to watch the hanging does not mean Mr. Slade ‘had it coming’ . If this man Slade was shooting recklessly on a busy street it seems like the more appropriate act would have been to order him to drop his weapon and if he refused to then shoot Mr. Slade in what would obviously be seen as self defense. I have a sneaking suspicion Mr. Slade may have been in possession of some property desired by one of the Vigilantes. Those People woke up in the morning to find those gents Hanging there on the hill outside of Last Chance Gulch in Helena. Slade’s drinking binges were a nuisance, but there were other factors involved with his death. Such as going to name names, and tell secrets of the Vigilantes in clear violation of the Oath. Slade was a Vigilante, and being a “man of his word” they feared what he would do. by the way the only punishment the Vigilantes issued was hanging. people tried to get him to go home to his wife but he would not go. When the Vigilante’s showed up, Slade attempted to take the Judge Hostage. He was hung one street back off of the main street in Virgina City MT, with half the town saying “NO” to hanging him. He was Hung by the Nevada City Vigilantes, headed up by Capt. Williams. (who in later years over dosed on laudanum) When these guys showed up, you just hoped they were not looking for you. A clarification regarding Alexine Fleck’s comment: The photo atop this post is not Slade’s hannging — he was hanged singly — but a double hanging of two other targets of the vigilantes. The photo was borrowed from page 351 of Frederick Allen’s book. His caption read: “The lynching of Joseph Wilson and Arthur Compton. Courtesy of the Montana Historical Society.” According to Allen’s list of executions (pp. 365-366), Wilson and Compton were the last two outlaws hanged by the vigilantes — on April 30, 1870 in Helena. Have you ever heard the phrase “All you need for a good hanging is a good rope.” by X. Biedler ? He was the US Deputy Marshal in Helena at the time, and he was a former Vigilante in Alder Gulch. He liked to watch people hang. odd fellow to say the least. I always thought that the Helena hanging of the two men while X was there seemed rather coincidental, or maybe convenient. Just a speculation on my part.